Boston, Mass – This fall we have become regulars at Monday Playdates at the Museum of Fine Arts. (As I wrote before, I used to go on artist dates, now I go on playdates, it’s all good.) So far, the playdates get mixed reviews (here and here) but they are good enough that we keep going back. Mainly, it’s an opportunity to go to the museum and look at art with my children. Call me a coward, but it’s probably not something I would do without some organized event, so here it is. Today, the theme was “My Colorful World” and I was thrilled that the docent took us up to the third floor of the Art of the Americas wing to look at the 20th-century art. 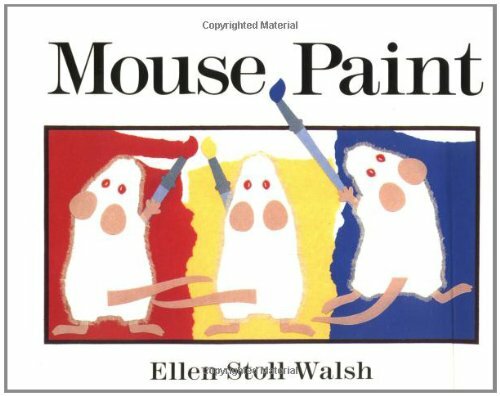 We read Mouse Paint by Ellen Stoll Walsh. Then we examined the colors in a bold mountain landscape, followed by a few activities to get the kids to notice colors. The twins were really enjoying it. So we examined Calder’s oddly-shaped jewelry and stared at his mobile. We spent quite some time examining the centerpiece of the main gallery, a swirl of color and movement by César Paternosto. Then we moved into the Lane Gallery, where Twin S fell in love with with Georgia O’Keeffe’s gorgeous White Rose with Larkspur, No 2. 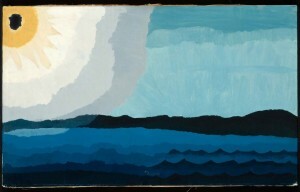 We were all crazy about Sun on the Lake by Arthur Garfield Dove. But the highlight of the visit, without a doubt, was the interactive touchscreen table at the center of the Lane gallery, which allows visitors to explore the way the artists created their paintings. 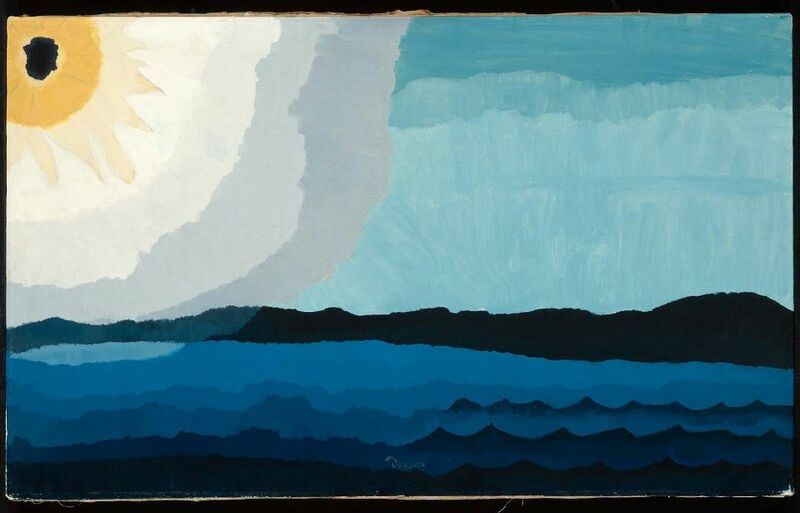 Using works by O’Keeffe, as well as Edward Hopper, Charles Sheeler and Ralph Colburn, the program let us play with colors, shapes and the placement of objects within the paintings. So, for example, we learned that Sheeler’s paintings often started with black and white photographs, to which he added the color. The program then allowed us to choose a black and white image and to experiment with filling it in with different colors. The twins loved it, but I also got a kick out of this first-hand insight into the artists’ creative process. By the time we got back to the Shapiro Courtyard, they were cleaning up the leaf rubbings, so we had missed our chance. But the twins didn’t care, because they had been busy coloring and creating on the touchscreen table upstairs. Too bad we can’t take those masterpieces home and hang them on the fridge.